madison by next week ? .. Our river maps are undergoing extensive annotation and will be posted in the next day or two. Images of the locales and fly patterns are being added. For now go to Yellowstoner's Maps. .. Our Spring was short, unsettled, tentative, and is now gone. Except for the high water we've entered our Summer fishing mode. The rivers on the west side of the park are all fishable. The color is receding and there is just about a week or ten days left of the high water. It looks like our river's flows have peaked. .. The Firehole River is a bit high, but in excellent condition. 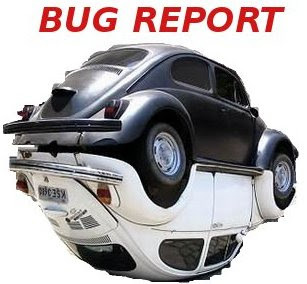 Bugs are plentiful and predictable. This week promises to be excellent with an upper level disturbance keeping some clouds in the forecast all week. Air temperatures are approaching mid summer levels a little early, and afternoon thundershowers are going to be the norm. They'll be widely scattered and probably violent. Remember that your rod is an excellent lightning attractor - especially the graphite ones. .. The Gibbon River canyon has lost most of its brown color and is now just tinged with pink. It is beginning to fish well for the nymph fishers. .. The small meadows above Virginia Cascades are lush, green and productive. Browns, Brookies, and Grayling await the fisher willing to enjoy catching rather than waiting. .. The trail to Grebe Lake is drying rapidly and the moose have moved away. Only the bears and a few adventurous souls have wandered the three miles to this Spring fishing hot spot. .. The Gibbon River in the big meadows surrounding the picnic area is finally clear. There are still bears, elk, and bison to contend with and the grass is lush. The big holes in the meander bends are finally becoming havens for resident trout and stealth is the best tactic here. .. The Madison River is beginning to fish well. Nymphs and streamers are still the most productive, but the evening caddis hatches are beginning to make themselves felt. The riffle and run sections are still yielding fish to stonefly nymphs. Try a Yellowstone Sally or a Silli-Legs in sizes 6 - 10. .. We are at the beginning of the buggy season. The mosquitoes are doing well this year, and the caddis seem to be having a very good time of it as well. .. The mayflies and the stoneflies are doing just fine too. 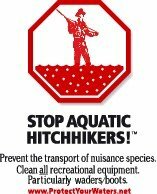 It's important, as the warm weather approaches, to be able to more closely approximate the bug that the fish are eating. .. Fly patterns come and go. The fish seem to eat them all. Morphology and size are the first keys to the successful patterns; and color, (shade,) comes in a close third. .. It seems a bit superfluous to caution that more patterns in the box is better than fewer -- but it seems to be true. The trout psyche is an alien and mysterious thing. Changing flies is often a waste of time -- more often it's a productive endeavor. We have our favorites; habit is a tough thing to break, but the more the merrier. .. Along with a few Feather Dusters and Shop Vacs we carry the full Spring Box well into Summer. As the trout begin to sky-gaze more in July we augment the assortment with a few well selected dry flies. .. Right now soft hackles, (floated and sunken,) are doing well. Your favorite big and little -- dark and light, caddis are also productive. Be prepared with some small dry flies as the PMD's and Baetis move through their size machinations. 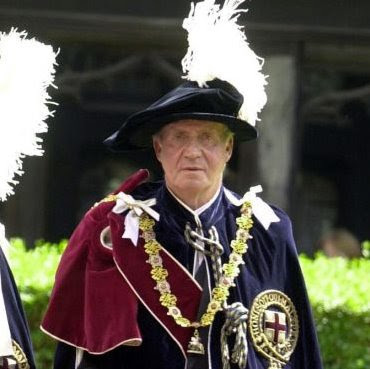 And, of course a fine selection of Hare's Ears, Feather Dusters, Yellowstone Badgers, and Prince nymphs will serve you well. .. Poor Tom. 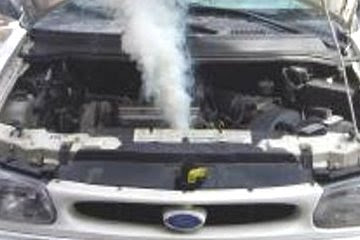 After logging more miles behind a steering wheel than Danica Patrick he lost some fishing time to a radiator hose. .. Exhaustion is second only to the frustration of snapping a graphite rod on a large Montana Trout. Read the complete sad tale of woe HERE. .. Finally, after some bit of color and high flows, the Firehole River is in great shape. There are bugs galore. There are fish galore. There are fishers galore. And the FFF is in West Yellowstone with sages of all stripes parading the streets instead of fishing. .. Still high, the Firehole River is clear and the fish are looking up. Hatches of PMD's are getting more dense by the day, and persist into the evening Caddis hatches. It has been better, but not much. .. The river is providing something for everyone right now. There is a good spinner fall, and the "before coffee crew" are scoring very well with light colored soft hackles, (size 16 - or so,) floated in the eddy's of the quiet stretches. .. Another fly that is useful in the morning is the Yellowstone Morning Glory. Fish it in the film and hang on. This fly is best in mid-morning: that time between the beginning of the hatch and when you give up on the spinners. .. By the time brunch is on -- 11:00 or so, the same soft hackle and Morning Glory can be drowned and serve as an emerger. If the hatch is up to snuff and a few clouds obscure the sun it's time for a bit of fluff on top. Many of the neighbors use a CDC dun, in size 16 - 18. .. Nymphing is an all day proposition because of the overlapping hatches and a two fly rig is very productive. We're using a Feather Duster up top with a Prince Nymph at the point. Sizes in the 14 - 18 range are fine. -- The prospects for catching will increase with overcast days and the bug density is very high right now. There are even some BIG and little stoneflies for those fishers of a dredging bent. Silli-Legs seem to be the most prevalent fly on the river right now. We've used them in yellow and deep orange and done well. The rocky and riffled sections have held some good fish, (to 18"+) in very gratifying numbers over the past few days. .. With little, (other than the afternoon showers,) precipitation forecast for a week or so, it looks like the Firehole season is upon us. .. The most elbows are seen in Biscuit Basin, at the south and north ends of the Freight Road, and the riffles and runs in the Midway Basin area. A little walk will bring you to less crowded water such as the nooks and crannies of Pocket Basin. .. Nez Perce Creek is barely fishable and still full of bears. This is truly adventurous water. .. The Madison River has maintained its depth but clarity has greatly improved over the last week. Many have called the death of the stonefly hatch, but they are still hatching and they are still productive as lures. The big nymphs and surface flies such as Marcella's Trout Fly, and yellow Woolly Worms are wonderfully plebeian and magnificently effective. In fact, for those that want to catch some of the larger fish these two flies are all that's needed. Silli-Legs in various combination's of colors are also being used by the neighbors with good success. .. The Gibbon River canyon is still a bit frothy and surprisingly swift. Color is down to a nice shade of pink and visibility is at about 3 or 4 feet. Just about any nymph is a good bet. We like: Yellow Feather Duster, Bead Head Prince, and Green Soft Hackle flies. The little meadows above the Norris Campground are holding small Brown Trout, (to 12",) along with the standard assortment of Brookies and rumors of the occasional Grayling. We missed our iridescent ghost last year and have vowed not to be so humiliated this year. .. The snow is off the trail to Grebe Lake and all that's left is mud and more mud. 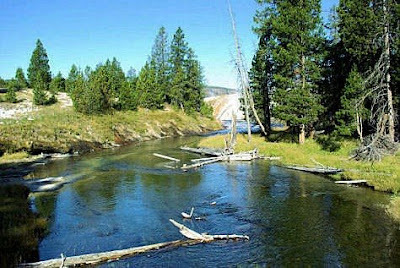 Take a brief walk, (about 3 miles in,) and catch the most willing fish in Yellowstone. 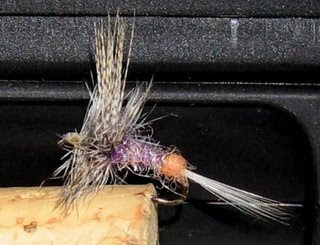 There are grayling and other dancers just starving for your two-fly rig. 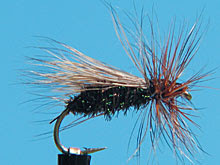 A floated soft hackle or elk hair caddis with a small Yellowstone Badger should fill your ego to gigantic proportions. That should provide the energy to get back out. Requirements are: BUG SPRAY, BEAR SPRAY, MOOSE ALERTEDNESS! .. Catching should slow down a bit for the rest of this weekend, but the clouds and afternoon showers will be returning for next week. The snow pack will keep the flows up a bit; and should keep the water temperatures in the best range for a few more weeks. The Firehole River is still about 200 cfs above its seasonal average but the clarity is very good. Temperatures are within seasonal norms and showing their typical diurnal/nocturnal swings. .. The Gibbon River is still the major contributor of color to the Madison River. It's running about 250 cfs above its averages and given the flows is surprisingly clear. .. The combined discharge rates of the Gibbon River and the Firehole River have kept the Madison River at about 400 cfs above its 81 year seasonal norms. It's amazing that it's fishable at all; let alone as good as it is. It will get better next week as temperatures and clouds contribute to its catch-ability. .. Well, the folks in Missoula are trembling as the ancient Chandler Toyota gasps its way toward paradise. Tune in to the Underground Adventure and see what kind of California Shenanigans invade the serene mountains of Montana. 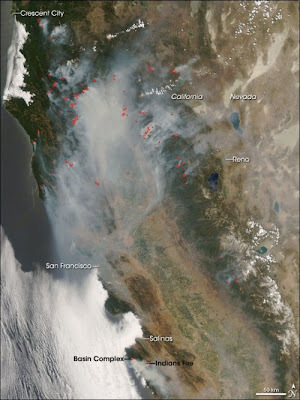 .. An update of the California fires can be found at The Horse's Mouth. They also have an awfully nice image of the purrrfect pout. 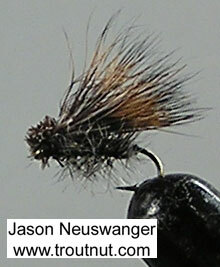 .. Jason over at the Troutnut has added some superlative images of both bugs and water. There are some new wallpapers too. give it a click the next time you're interested in a bit of learned esoterica. .. After languishing for years Wikipedia has caught up with Yellowstone Fishing. Thanks go to the heroic efforts of Mike Cline. 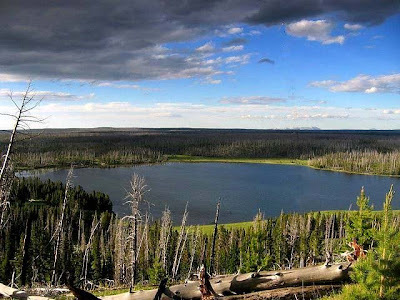 Over the last six months the section has begun to take shape and promises to become a definitive source for "The History Of Angling In Yellowstone National Park." .. The bibliography is growing at a rapid pace and already contains an excellent assortment of references. The hatch chart will provide you with a place to start, and the major sources of contemporary fishing information are all listed. A brief introduction to 'the major waters' is included, as is a section on regulations. .. The section on West Yellowstone is still a little sketchy, failing to note that Bud Lilly, Bob Jacklin, and Craig Mathews all got their start by working at Eagle's Store, and that Sam Eagle was the first licensed guide in Yellowstone. .. This year marks the 100th anniversary of the Eagle fly fishing tradition and the 30th anniversary of the Feather Duster Fly. .. Interested persons can contribute to Wikipedia and make this fine section an excellent reference. Contributors are finally joining in. We applaud this effort. GOOD SHOW! 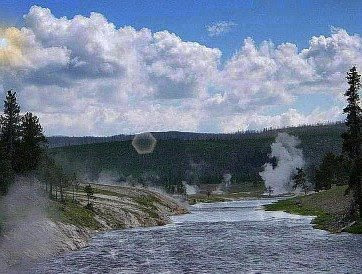 GO TO THE FIREHOLE -- NOW ! .. location, Location, LOCATION. The Map below will give you some help in navigating the town. During the Summer it's a surprisingly crowded place. .. Enormous condominiums on wheels park in the center of the street. Children chase each other through red lights, visitors walk in the middle of the street, drivers stop and start for no apparent reason, "U-Turns" are common and unannounced, panic stops in intersections are the rule, parking is nonexistent. It's best to park and do it on foot. * WARMING TEMPERATURES THROUGH FRIDAY WILL INCREASE SNOWMELT IN THE MOUNTAINS. WITH SOME STREAMS ALREADY RUNNING NEAR BANKFULL AND SOILS MOIST FROM RECENT PRECIPITATION...THIS INCREASED RUNOFF WILL LIKELY LEAD TO MINOR FLOODING OF SOME STREAMS. AREAS OF GREATEST CONCERN ARE GALLATIN COUNTY AND NORTHWEST BEAVERHEAD COUNTY WERE UP TO 3 FEET OF SNOW HAS RECENTLY FALLEN IN THE MOUNTAINS. THIS ADVISORY WILL LIKELY NEED TO BE EXTENDED THROUGH THE WEEKEND AS TEMPERATURES CONTINUE TO WARM. MOST FLOOD DEATHS OCCUR IN AUTOMOBILES. NEVER DRIVE YOUR VEHICLE INTO AREAS WHERE THE WATER COVERS THE ROADWAY. FLOOD WATERS ARE USUALLY DEEPER THAN THEY APPEAR. JUST ONE FOOT OF FLOWING WATER IS POWERFUL ENOUGH TO SWEEP VEHICLES OFF THE ROAD. WHEN ENCOUNTERING FLOODED ROADS MAKE THE SMART CHOICE...TURN AROUND...DONT DROWN. A FLOOD ADVISORY MEANS RIVER OR STREAM FLOWS ARE ELEVATED OR PONDING OF WATER IN URBAN OR OTHER AREAS IS OCCURRING OR IS IMMINENT. .. Nothing fancy; big flies that look like a sack of groceries to any hungry trout. .. This section of the Gibbon River, below Virginia Cascade, was fishable for about two hours this afternoon, (Thursday, 6/12/08.) It probably won't come back into shape for another 10 days. .. 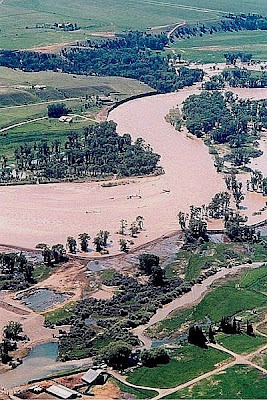 Despite the rosy reports from many sources - conditions guarantee that picking your water is, at best, an "iffy" proposition. .. Make a lot of new friends when you get here - hire a guide who's seen this before - pay your money and take your chances. THE SNOW ADVISORY IS NOW IN EFFECT UNTIL 3 PM MDT THIS AFTERNOON. OCCASIONAL SNOW WILL CONTINUE ACROSS YELLOWSTONE NATIONAL PARK THROUGH 3 PM TODAY. 1 TO 4 INCHES OF SNOW HAS FALLEN AT MANY AREAS ACROSS THE PARK WITH UP TO 7 INCHES AT SYLVAN LAKE. A SNOW TOTAL OF 4 TO 8 INCHES IS EXPECTED WITH AS MUCH AS 6 TO 12 INCHES EXPECTED OVER SYLVAN PASS NEAR THE EAST ENTRANCE BY 3 PM TODAY. MUCH LESSER AMOUNTS OF AN ADDITIONAL INCH OR TWO ARE EXPECTED AT MAMMOTH HOT SPRINGS AND THE WEST ENTRANCE. ROADS ABOVE 8000 FEET ARE EXPECTED TO REMAIN OR BECOME SLICK AND SNOW PACKED THROUGH THIS MORNING. A SNOW ADVISORY MEANS THAT PERIODS OF SNOW WILL CAUSE PRIMARILY TRAVEL DIFFICULTIES. BE PREPARED FOR SNOW COVERED ROADS AND LIMITED VISIBILITIES...AND USE CAUTION WHILE DRIVING. ROADS CAN BECOME ESPECIALLY SLICK WHEN THE TEMPERATURE OF THE ROAD SURFACE IS CLOSE TO FREEZING. VISITORS TO THE PARK SHOULD BE PREPARED FOR UNSEASONABLY COLD AND WET CONDITIONS AND THE LIKELIHOOD OF ROAD CLOSURES INTO AND THROUGHOUT THE PARK TODAY. AFTERNOON FOR ELEVATIONS ABOVE 5000 FEET. AREA WILL BECOME HAZARDOUS THROUGH THIS AFTERNOON. OUTAGES OR DAMAGE TO TREES THAT HAVE LEAFED OUT. 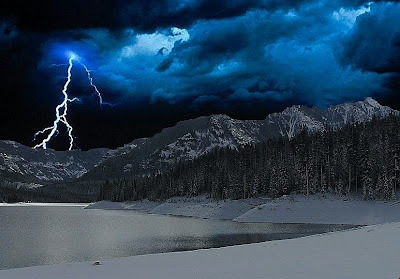 can you say thundersnow ? .. Last night's soaking rain and this morning's constant drizzle is sure to cloud the rivers a bit more. 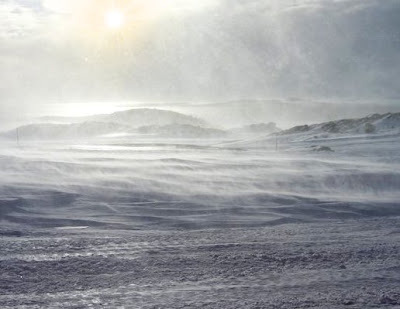 The thundersnow over the weekend melted rapidly in the warm deluge that followed in its aftermath. This produced a bit of color in the rivers as well. The beauty of the rose colored water is a wonder to behold. .. 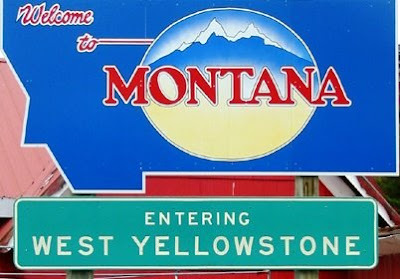 Briefly: the Gallatin River is cold, cloudy, and fishable above the Taylor Fork, productivity should be low; the Madison River is a portrait in mud and silt, catching will be done with a bit of tinsel and white - down and deep; the Gibbon River is roaring again but is mostly in-bank, (a rainbow of earth colors swirl through its froth;) the Firehole River is holding its own and in the meadows around Biscuit Basin clarity and visibility is surprisingly good. .. Despite the optimism of the intrepid fishers in our neighborhood, both the flows and colors of the rivers mitigate against spectacular catching. The apparent discharge peak of June 5 - 6, and the two day down-turn thereafter brought joy to the neighbors' hearts. Short lived it was. .. Flows are again on the upswing. The Madison River is at 950 cfs, still 100 cfs above its 81 year average and climbing once again. The Gibbon River is nearing 400 cfs, about 200 cfs above its seasonal average and raising rapidly. 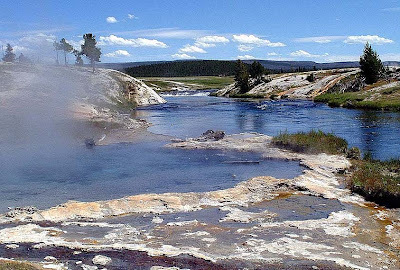 The Firehole River is currently at 600 cfs, a full 200 cfs above its seasonal average. .. Rain, snow, sleet, and cooler temperatures are in the forecast for the next four days. Temperatures will hover around the 40's and 50's for highs. This is just enough to slow the rivers a bit. Warmer temperatures on the coming weekend will increase the flows again - there's still snow to be melted. .. The Gallatin River has finally reached seasonal flows, but is very cold and slightly turbid. The discharge from the Taylor Fork can be distinguished for a good two miles before it dissipates into the full width of the stream. Fish the edge of the silt plume and there will be fish to dance with. This is strong water despite its appearance. The wade to the east bank can be treacherous. Take a stick or staff or have a native porter carry you across. You will be rewarded. .. Weather be damned, bugs and genes have their own calendar; and persistence of emergence will out! There are some hatches, and they are fishable. The fish have found them and so have the observant fishers. .. Despite the color on the Madison River there are Stonefly Nymphs actively moving underwater. A Yellowstone Sally will be your best bet as the top fly in a two fly rig. The trailer might be a soft hackle or a flashback Prince Nymph. Size 8 for the Sally, 12 - 14 for the trailer. 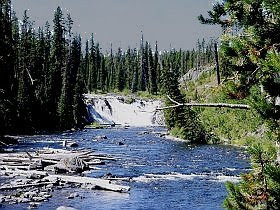 .. Fishers looking for surface action can find it on the Firehole River. The cool temperatures and afternoon drizzles have brought forth the PMD and Baetis hatches. Mid -afternoon to dusk is good for the hatches. .. Caddis hatches are now appearing but they are spotty and intermittent. These are all flies that trend toward the SMALL! Sizes 16 and 18 will be a good place to start. .. The spinner float has been excellent. For those of you that don't need a second cup of coffee, (or even a first,) try the Yellowstone Morning Glory. These can be fished in reasonable sizes of 12 - 14. They can even be drowned and will produce well. .. The Firehole River also has a bit of Stonefly activity. If you're interested in some larger fish try the Yellowstone Winter Grub, or your favorite rubber legs pattern. .. Many of the neighbors are having success with the Silli-Legs stoneflies, (every feather merchant has a version or two - choose by color, size, aesthetics, or ugliness: they all work.) Just be sure that you let the drift carry the fly to the deepest part of the water. Pockets near the bank and undercut areas will be your best bet. .. There are excellent and detailed reports, along with prognostications at Madison River Outfitters, and Blue Ribbon Flies. 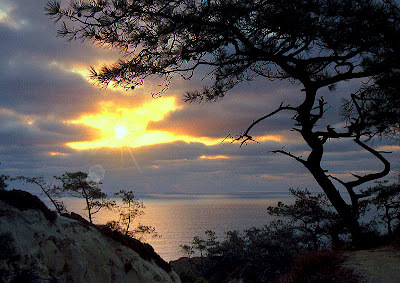 .. We haven't forgotten those of you that like to view a bit of pleasant scenery. The Horse's Mouth brought us a bit of unseasonable decoration. Football instead of fish? We'll take it! Straight To You From . . .
.. On frequent occasions we dip into the sage meanderings of The Horse's Mouth. We gather wahines, information, insight and nostalgia. .. This time we gathered a chilling bit of video. We present it below for your edification. 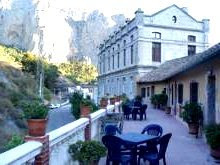 .. El Caminito del Rey, (The King's Footpath,) is just a bit of crumbling cement and rusty steel supports north of Malaga, and north of Alora, near El Chorro Spain. 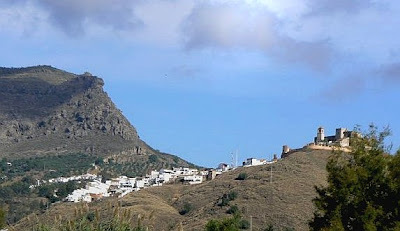 It ascends a 700 foot gorge of the Rio Guadalhorce: it looks, (and is,) pretty fishy. .. The footpath was constructed between 1901 and 1905 as a means of access for an interesting aqueduct project. .. The video below is not for the faint of heart. It's not even for most of the stout of heart. .. The limestone regions of Spain are justly famous the world over for caves, cliffs, gorges, and climbing locales. This gorge on the Rio Guadalhorce is just one of the many attractions just south of the Plains of La Mancha. .. In scientific terms this trail has a "PUCKER PHACTOR" of 10+ !! .. 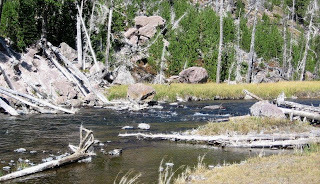 The Firehole River is fishing just fine; thank you. A few Baetis, a few Caddis, a few trout, and elbows of the mighty fishers are all present and accounted for. .. The unsettled Spring weather has failed to darken the river very much, and good opportunities exist above its confluence with Nez Perce Creek. Below the confluence you have to pick your water with care - or trust to luck. .. The Little Firehole River in Biscuit Basin has yielded some very nice fish on soft hackles; and, there's even a surface bite for those willing to stand still and watch the water. Caddis, Baetis, midges, and sticks seem to be what the trout are eating in this short stretch of water. .. The Firehole River above Old Faithful, along the trail to Lone Star Geyser, is gin-clear and cold. It harbors mighty Brook Trout ranging to over 7". They too are eating sticks and whatever else, of an appropriate size, that floats. Few fuchsia vests or $900.00 rods were seen on this stretch yesterday. .. We're on our way back right now - the sun is not up yet and it's dead calm. Rumors abound of a great spinner fall - we're skeptical, but curious. .. Also From The Horse's Mouth: a blue fish!